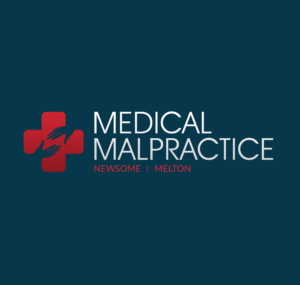 Medical Malpractice Help » Medical Malpractice Causes » Legal Information » Does Florida Have A Statute of Repose For Medical Malpractice Cases? Discover the statute of repose on Medical Malpractice cases in Florida and how it differs from the statute of limitations. What Is the Difference Between the Statute of Repose and the Statute of Limitations? What Takes Precedence in a Medical Malpractice Case: The Statute of Repose or Statute of Limitations? Are There Any Exceptions to the Four-Year Time Limit? What If a Doctor or Another Healthcare Provider Tries to Conceal the Malpractice? How Can I Set up a Free Consultation With a Medical Malpractice Lawyer Today? Florida has a statute of repose for medical malpractice cases. The same Florida law that governs the statute of limitations on medical malpractice claims, F.S. §95.11(4)(b), also establishes the statute of repose. It states that an injured party has no more than four years from the date of the incident to take legal action. A medical malpractice lawyer in Florida can help you understand how the statute of repose could impact your case. Call the attorneys at Medical Malpractice Help at 855-633-2757 for a free consultation. In a medical malpractice situation, the clock for the statute of repose begins ticking the minute the alleged malpractice occurs. The statute of limitations, in contrast, does not start running until the patient discovers that their injuries or illness occurred due to a healthcare provider’s wrongful actions. This is in keeping with the discovery rule. As a result of this difference, the statute of repose typically starts to run at an earlier date and continues for a longer period than its corresponding statute of limitations. The discovery rule does not apply to the statute of repose. This means the statute of repose could remove an injured party’s ability to pursue damages before they even discover a cause of action for a claim. When there is a conflict between the statute of limitations and statute of repose, the statute of repose takes precedent. In other words, if the statute of limitations window is still open due to the discovery rule, but the statute of repose has already expired, the plaintiff cannot file a lawsuit. In this way, the Florida statute of repose could prevent a plaintiff from exploring a legitimate medical malpractice claim . In the 1992 case, Kush vs. Lloyd, the Florida Supreme Court upheld the statute of repose. After giving birth to a son with deformities in 1976, Diane Lloyd and her husband sought genetic testing from Dr. Arthur Kush in 1979. After an evaluation, Kush declared the Lloyds safe to have a second child. On December 24, 1983, Lloyd gave birth to another son with the same deformities as the first. Subsequent genetic testing revealed that both sons inherited the genetic abnormality from their mother. In 1985, the Lloyds filed suit for wrongful birth based on negligent failure to diagnose an inheritable genetic impairment. The Court ruled that the statute of repose barred their claim. Although the Lloyds filed suit within the statute of limitations period, the four-year statute of repose began running in 1979 when Dr. Kush declared Lloyd safe to have another child. Florida’s statute of repose does not bar a claim filed on behalf of a child who has not yet reached age 8. That means the statute of repose will not bar you from filing a lawsuit on behalf of your child until they reach 8 years of age. It is important to note, however, that an expired statute of limitations can still prevent a claim from being filed on behalf of a child younger than 8. Our attorneys can examine your situation to see if the statute of limitations has expired in your child’s case. The four-year limit can be extended to seven years in the event of fraud, concealment, or intentional misrepresentation of fact. That said, seven years from the date of the alleged malpractice is the absolute maximum period that is ever available to begin an action based on medical malpractice. The statute does not indicate what constitutes concealment, so the Florida Supreme Court has done so. In the 1976 case Nardone v. Reynolds, the Court ruled that concealment requires the at-fault party to understand the plaintiff’s condition and purposefully fail to convey it. In other words, there must be an intentional act by the healthcare provider to prevent the patient from discovering the malpractice. A negligent diagnosis alone does constitute concealment. For the statute of repose to extend to seven years, we must uncover evidence showing the doctor in your case committed malpractice and intentionally prevented you from finding out about it. The legal team at Medical Malpractice Help wants to help you pursue the damages you deserve for the injuries you suffered due to medical malpractice. To schedule a free case evaluation, call 855-633-2757 today.